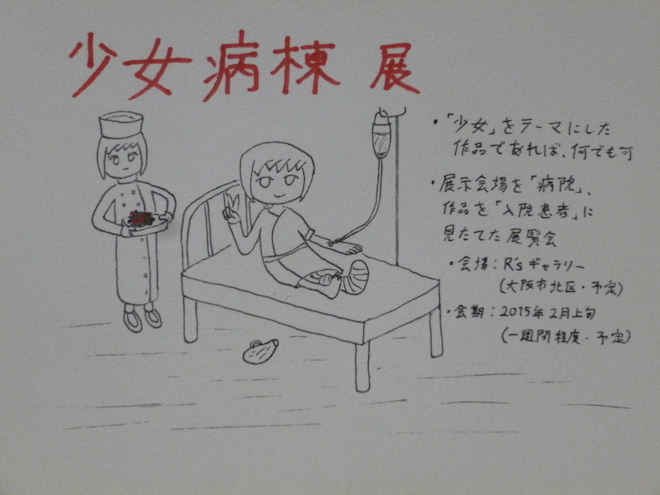 The word "yami" is the character for "sick" or "ill" and often alludes to physical maladies like pain or even "hospital"(病院)。There are several layers to the Yami Kawaii trend, and the first one is what you'd expect a Harajuku subculture to produce: cute, weird fashion. 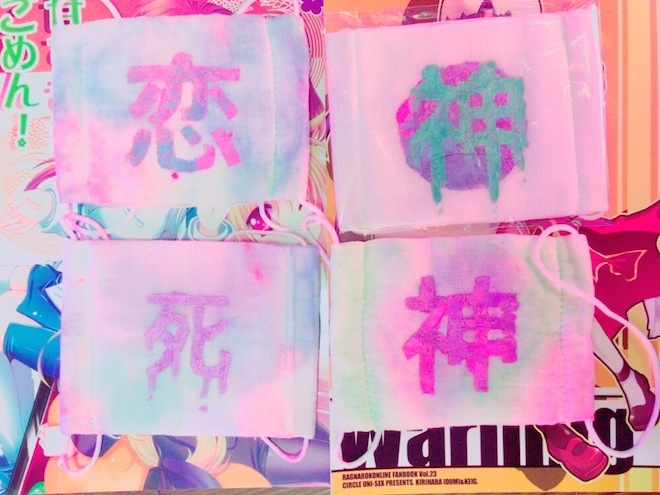 Since yami means pain, the yami kawaii subculture revolves around accessories like fake bandages, skulls, pink blood, and gasmasks. 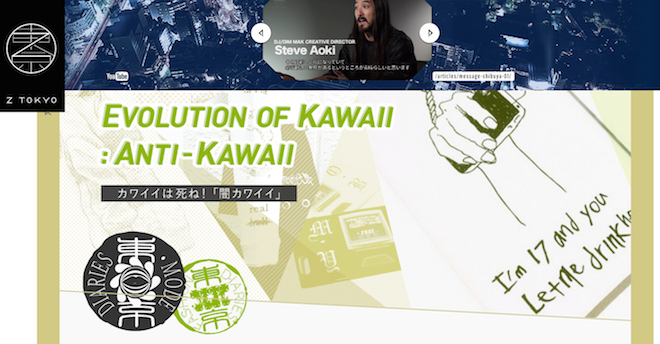 It's a little bit similar to "kowa-kawaii", which was the "scary kawaii" trend. That one revolved around eyeballs and gore, with a goth spin on it. 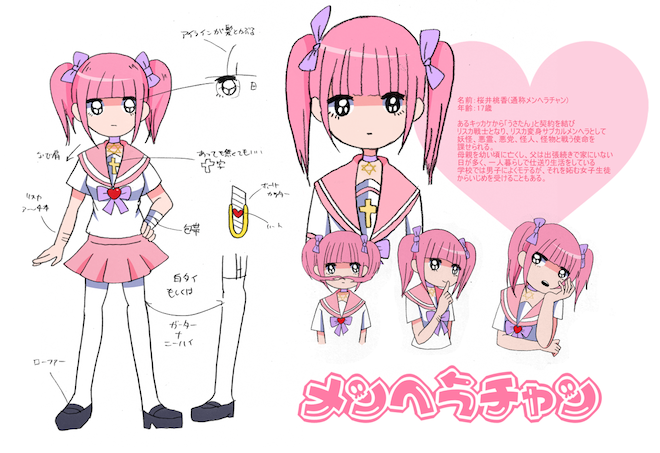 But Yami-kawaii has a more girly, otaku-spin with lots of pastels and anime-style illustrations for it. NHK World TV Show Kawaii International's newest episode is very timely, introducing this subculture as an underground fashion movement. You can watch the episode here until the end of the month. 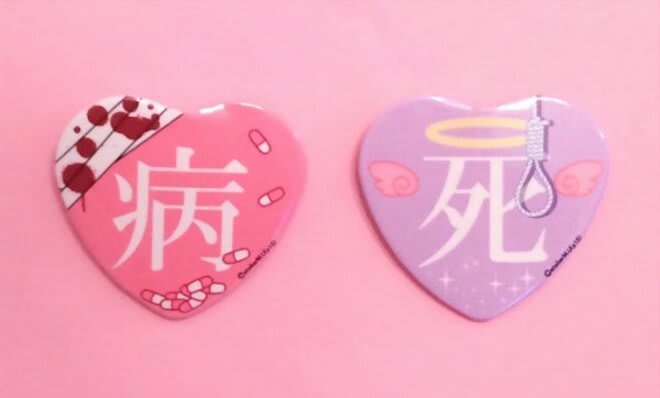 In it, we are introduced to a popular anime character who often gets hospitalized, and happy go-lucky KERA model Ichigo Masui (above), who accessorizes her frilly outfits with pills, bandages, and little devils. She shops at Harajuku store Nesin (ネ申）which sells pink eye patches and lots of clothes adorned with the aforementioned cynical Japanese messages like "Die!". Almost everything is pastel, not bloody or gory. The show is quick to point out that it's an aesthetic choice, and not a mental one. And that's totally true, as it doesn't take permission from one's psychiatrist to shop at the store. It's a natural progression from the scary-kawaii trend, and I think it's actually a lot of fun. Especially being the cynical, sarcastic American that I am, I think this type of dark and twisted Kawaii fashion is actually an easier sell abroad than the fluffy, fairy kind. I mean, who wouldn't laugh at a neon pink gas mask or a pastel green "DIE!" sweatshirt? It's all in good fun. This pastel and frilly style is also referred to as "Yume-Kawaii" (dream kawaii). It's a fairy style with a heavy dose of dark cynicism. Either way, it's all kawaii but with a serrated edge. ...but what if it's not just all in good fun? While yami-kawaii mostly revolves around humor, there is another, deeper layer to all of it. That is when the word "yami" takes on a mental dimension and literally means "mentally anguished"(心に病気を患った人). The Japanese slang word for this is "menhera" which is short for "mental health". It refers to people who are usually on the fringe, who converge on anonymous message boards like 2chan and who have serious mental issues. 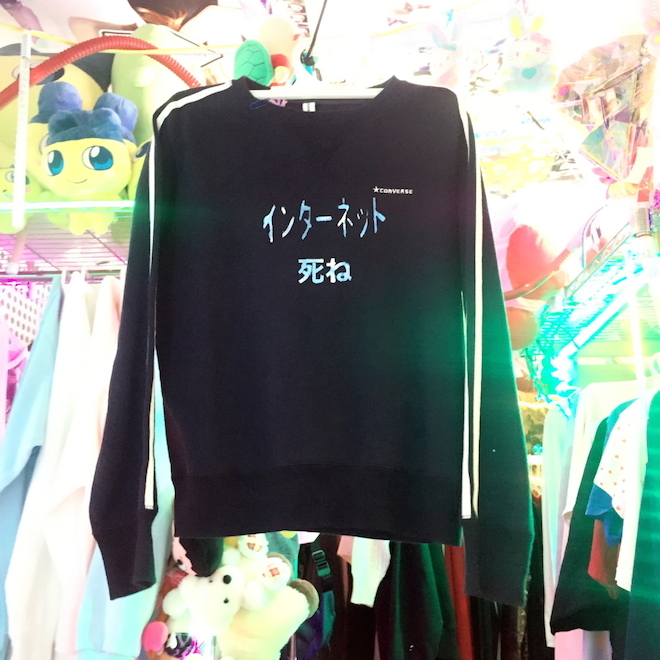 These people used to only "exist" on the internet, but recently there has been a movement where people who are menhera have started creating art and fashion in real life. 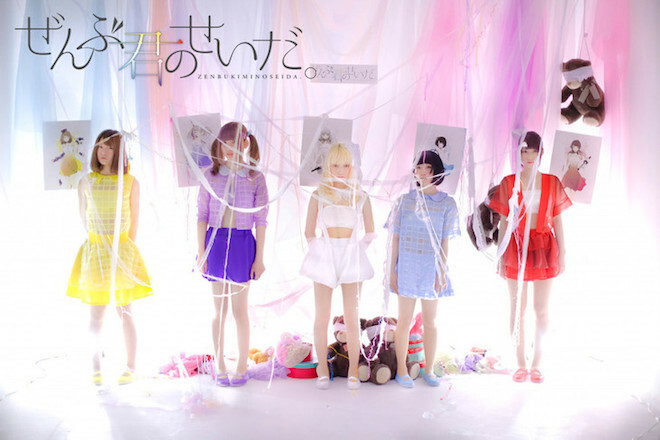 It has become extremely popular, and it is undoubtedly related to the popularity of Yami Kawaii fashion. Meet Menhera-chan, the unofficial mascot of the movement. She was drawn by a young male artist named Bisuko Ezaki, who has turned the yami-kawaii popularity into a business. He has almost 100k followers on Twitter, and sends out pictures of his t-shirts and other ventures, like a photo editing app called "Yami Kawa-camera". But make no mistake, he's a dark dude and some of his tweets are so twisted, even I squirm a little bit (like asking his followers to vote on "Where did the accident take place?"). 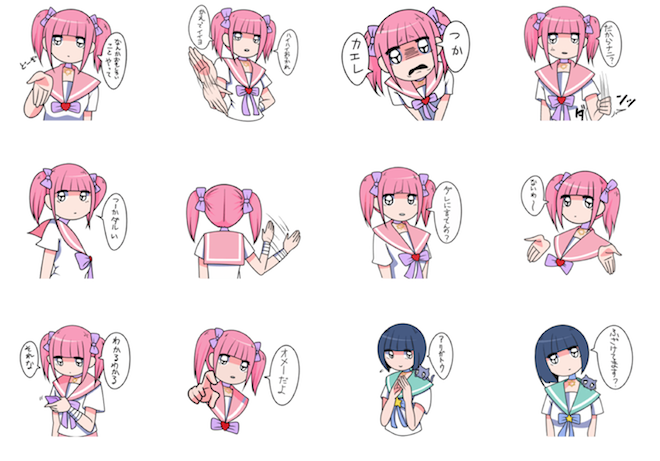 メンヘラチャンとそのLINEスタンプ かわいいながらも、「リスカ戦士」や傷跡などのとこがかなりダーク。 Menhera-chan and her LINE stamps. In the above "map", notice the wrist scars, the little knife, and the introduction as a "wrist-cutting warrior". Dark. Another catalyst is a girl named Aoi-uni, who organizes a yearly art fair called the "Menhera Exhibit". This is where young girls and boys can exhibit menhera or yami-kawaii inspired art and goods, and sell it for a profit. Aoiuni is a rather cute and attractive girl, but the truth remains; she proudly waves the banner of menhera and even Tweets from her visits to the hospital. This isn't all totally new in Japan, as while researching for this, a photo of Kusama Yayoi popped up. She's known for having committed herself to a psychiatric ward. That is considered somewhat endearing to the public, such as the menhera-chan mascot (the mascot has it's own LINE stamps). As for Yami Kawaii, I think that the edgy-ness of it makes it a pill easier to swallow than typical "kawaii" clothing for the West. In fact, a skeleton corset belt that Ichigo Masui showed off in her Yami Kawaii segment on Kawaii International is something that I have in my own closet right now. And in high-fashion, it's seen at Banal Chic Bizarre, and even in the collage prints at Nozomi Ishiguro. I hope that the girls and boys out there who are truly suffering from menhera can find this to be a cathartic outlet, and meanwhile, you guys can shop for Yami-kawaii at various Harajuku stores.